As we came down the coast, Fabio and I stopped in a wide variety of places – abandoned marinas, sleepy fishing towns, booming coastal metropoli. Each place was unique, but all had their fair share of drama. Because I am naturally nebby, I would join in on local chatter, often extending touristic pleasantries into full-blown gossip. It’s a victimless crime, right? 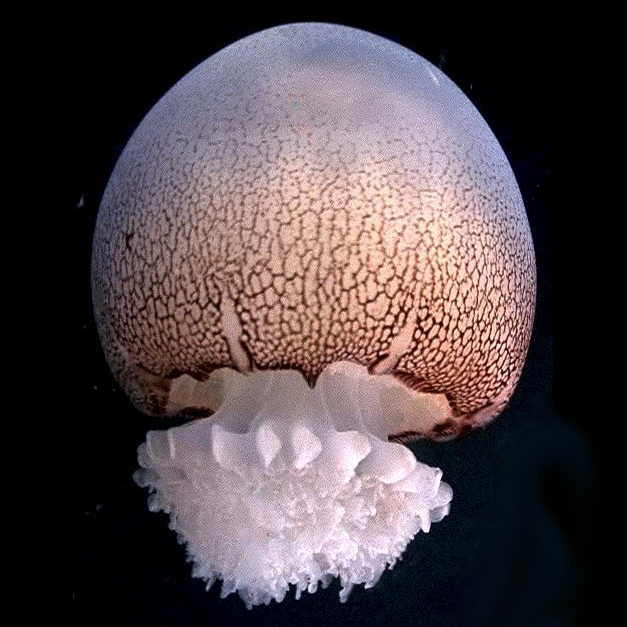 One of my favorite hot-button coastal topics has been the charismatic Carolina Jelly Ball. During our time loitering around St. Helena’s Island, the first of the Sea Island we explored, we learned of a local debate over a growing industry centered on this abundant and edible jellyfish that is gaining popularity in Asia. The drama arose over the siting and proposed expansion of a processing facility for the jellies on St. Helena, a pretty rural island where process water is necessarily discharged directly to a local creek. Last week, the heath department in Beaufort County, SC held a public meeting that explored the issue, detailing what is known about the effluent, as well as the “natural toxins” that are secreted by stressed-out jellies. It’s no grand assumption that the jellies are stressed when they are being processed into a food product. This topic stuck with me as Fabio and I paid homage to each regional cuisine we encountered north to south, starting out in sea scallop country, then on to blue crab bisque, then flounder central, followed by fried oysters, and now shrimp as far as the eye can see. Today, for example we are going to a crawfish parade. 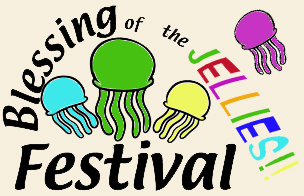 Could it be that future coastal southerners could be celebrating “Blob and Bluegrass Festivals” or “Blessing of the Jellies” ceremonies? It might be hard to imagine this level of assimilation, but apparently change is already here. During the public meeting, another jelly ball processor was highlighted as a “best practice”. A local shrimper in Darien, Georgia has built a successful export model with the new jellyfish product, and operates within a municipal sewer service area. The effluent from processing therefore enters the town’s treatment works, and everyone seems to be pretty satisfied with the arrangement. Of course I am not going to rely just on Internet scavenging for the complete picture. That’s plain irresponsible! This calls for a field trip. You are currently viewing the archives for April, 2014 at plankton every day.